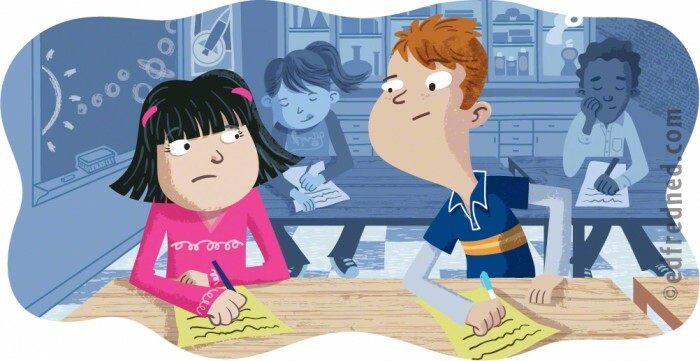 Illustration for Scholastic News 4, a weekly news magazine for fourth graders. 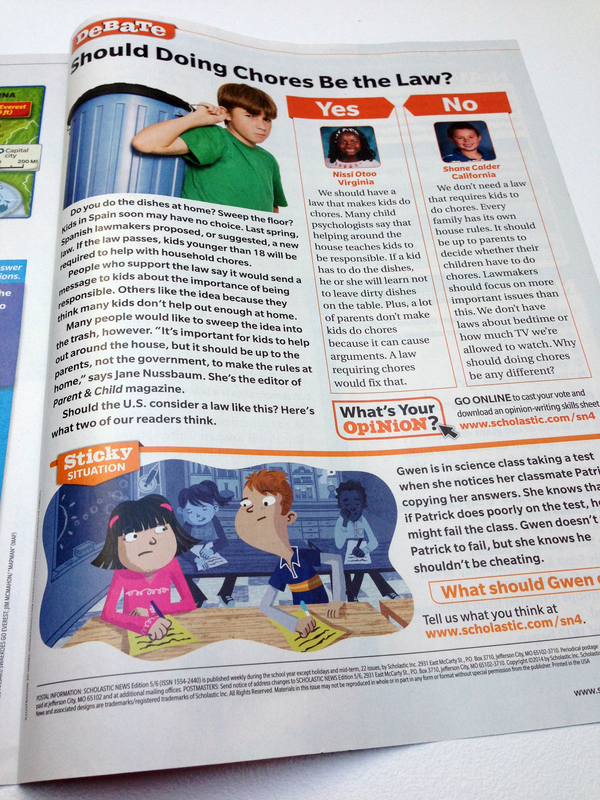 The section of the magazine where my illustration appears is called Sticky Situation and it depicts a predicament that the kids need to figure out what is the right thing to do. Sticky Situation: Patrick is cheating off Gwen’s science test and although she doesn’t want him to fail the class, she knows it’s not right.